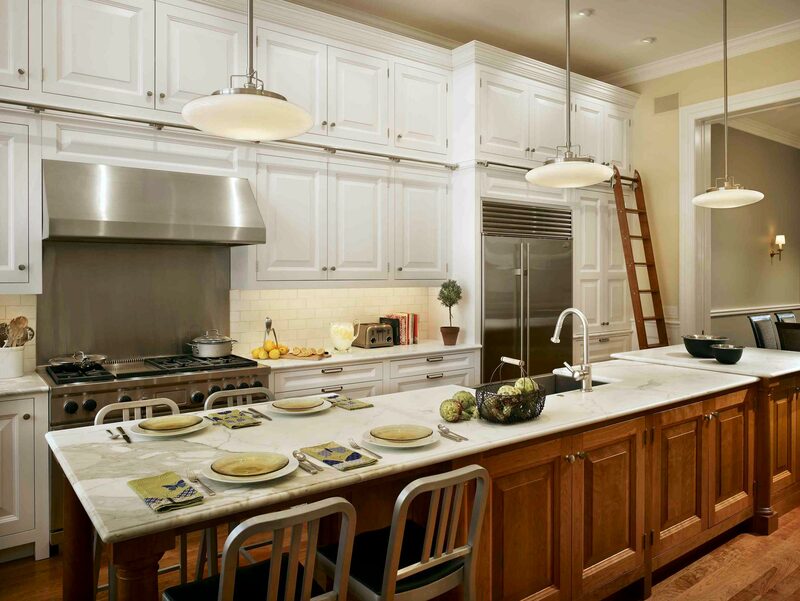 Complete First Floor renovation of a gracious 1850s townhouse. The inset hexagonal marble tile floor marks the center of the home. The Calacatta Gold of the counters was chosen to match the existing fireplace. 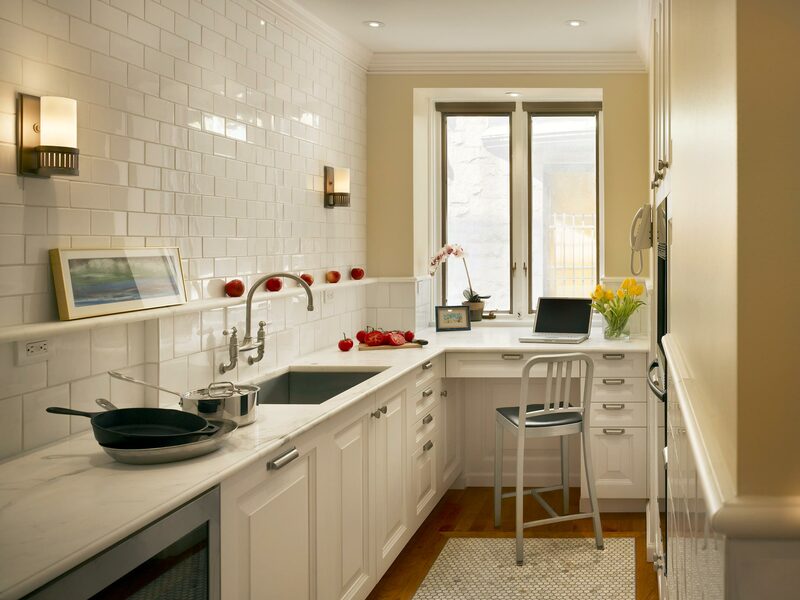 This butlers pantry and catering kitchen allows for out of sight food preparation and clean up.